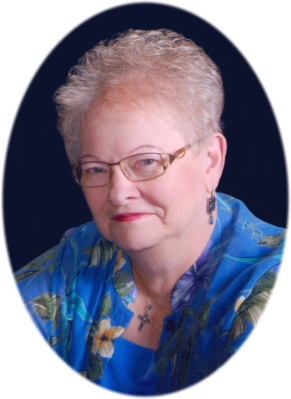 Sharon Frances Becker age 75, of Fowler, MI, passed away Wednesday, August 8, 2018 at The Laurels of Carson City, Carson City, MI. A Mass of Christian Burial will be held at Most Holy Trinity Catholic Church, Fowler, MI, on Monday, August 13, 2018 at 10:30 A.M., with Rev. Fr. Dennis Howard officiating. Burial will follow at Most Holy Trinity Cemetery, Fowler, MI. Visitation will be held on Sunday, August 12, 2018 from 2-8 P.M. with family present from 2-4 & 6-8 P.M. at Smith Family Funeral Homes - Goerge Chapel, Fowler, MI. A Rosary will be prayed Sunday at 7:00 P.M.
Sharon was born in Westphalia, MI, on April 10, 1943 the daughter of Aloysius and Louise (Spitzley) Platte. Sharon resided most of her life in Fowler and was a graduate of St. Mary's High School with the class of 1961. Sharon married Clark Becker August 1, 1962 in Westphalia, MI. Sharon and Clark owned and operated Becker's Bridal from 1975 until retirement. She enjoyed knitting and crocheting. Sharon loved to play cards and go bowling. Playing games with her grandchildren and doing puzzles with family and friends brought her much joy. She was a member of Most Holy Trinity Catholic Church Fowler, MI and a member of Christian Mothers. She is survived by her husband Clark Becker of Fowler, MI; son Curt and Lisa Becker of Fowler, MI; son Scott and Becky Becker of Fowler, MI; daughter Michelle Mueller of Ionia, MI; son David and Sherri Becker of Fowler, MI; daughter Beverly and Mike Schaefer of Fowler, MI; son Timothy and Sharon Becker of Grand Rapids, MI; son Thomas and Janet Becker of Rockford, MI; daughter Jennifer Badgett of Fowler, MI; 23 grandchildren; 5 great grandchildren; sister Marie and Alphonse Thelen; sister Therese Perrien; brother Joseph and Mary Platte; sister Mary Catherine Platte; brother-in-law Celestine Simon; sister-in-law Nancy Platte; and sister-in-law Barb Platte. Sharon was preceded in death by her parents, father and mother-in-law Frank and Eva Becker, her granddaughter Brooke E. Becker, sister Grace Simon, brother-in-law Edward Perrien, brother Gerald Platte, brother Duane Platte, and brother and sister-in-law Luke and Joan Becker. Memorials may be made to No More Sidelines, Fowler, MI. Online condolences can be sent to www.smithfamilyfuneralhomes.com. The family is being served by Smith Family Funeral Homes - Goerge Chapel, Fowler, MI.